Hello everyone! 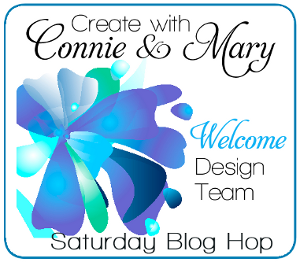 It's a Saturday blog hop with the designers of Create with Connie and Mary! Today we are featuring a card using the stamp set that we will use during the upcoming Card "Create"tions Celebrations edition which starts tomorrow!! I do hope that you have signed up! I am your stop right after the talented Debbie Henderson! 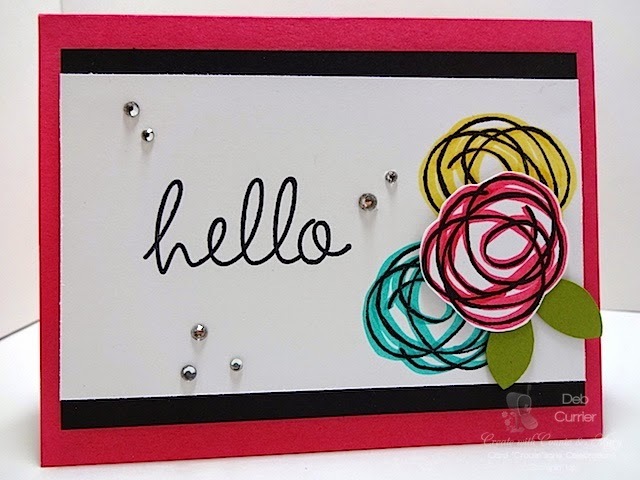 The first day of Preview Week I showed a card using the Pictogram Punches stamp set. And that is one stamp set I will be using. I will also be using this stamp set, Snuggles and Smooches! What a fun set! To see the other cards I made, you will have to be a subscriber of this edition! We start tomorrow! This is such a fun and easy card! And I love the bright colors! Cut a piece of Whisper White at 3" x 5"
Super simple!! Time to send you on to see what Connie Babbert has to show you! Don't miss out on her blog candy! And don't forget to sign up for the Cards "Create"tions edition at the Create with Connie and Mary site! You won't be disappointed! Thanks for stopping by and have a super day! Beautiful card. Love the bright colors and the simplicity. TFS. CCMC Preview Week Day 6! CCMC Preview Week Day 4!